Al’s Hardware & Software House services most brands of PCs & printers including Acer, Apple, Compaq, Dell, DFI/ITOX, Epson, E-Machines, Gateway, HP, IBM and IBM compatibles, Lenovo, Lexmark, Okidata, Samsung, Sony, Toshiba, Wyse and more. Onsite service and repair is available for most products. In store diagnostic fees start at $45.00. 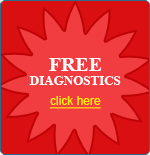 Fees are determined by what type of hardware or software diagnostic service is required. Hourly bench rate repair cost is billed at $75.00 per hour or increment thereof. Parts, shipping and sales tax are additional. We will waive the basic diagnostic fee if end user decides to have us complete the required repair (In store repairs only). If end user declines to have the repair completed end user will be responsible for the basic diagnostic fee they were quoted plus any applicable sales tax. On site diagnostic fees start at $125.00 for first hour or increment thereof with a minimum diagnostic charge of $125.00 for on site service. Fees are determined by what type of hardware or software diagnostic service is required. Each additional hour that we are onsite after the initial diagnostic fee will be billed at $75.00 per hour or increment thereof. Round trip travel time and mileage are not included in the diagnostic fee. Round trip travel time is billed at $75.00 per hour. Round trip mileage is billed at $.50 per mile. Any out of pocket expenses such as parking or tolls are additional. Parts, shipping and sales tax are additional. On site diagnostic fee will not be waived regardless of whether end user has repair completed or not. Same day diagnostic and repair service (providing parts are in stock) is available for an additional expedite fee of $100.00. Otherwise all service work will be completed on a first come first served basis. Technical support by phone or in store fees start at $75.00 for first hour or increment thereof with a minimum support fee of $75.00. 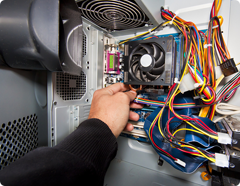 Support fees are determined by what type of hardware or software diagnostic support is required. All time will be rounded up to the next quarter hour. For example, if we finish a repair at 1:07PM we will round out the finish repair time to 1:15PM. All parts and labor on completed repairs will be covered by a 90 day parts and labor warranty unless otherwise stated on the invoice or service order contract. Warranty coverage begins on the date service is completed. On in store repairs once end user is notified that the repair has been completed the end user will have 15 days from date of notification of completed diagnostics or repair to pick up the equipment. If end user does not pickup equipment within 15 days of notification an additional $5.00 per day storage charge will be added to the final repair total. If end user does not pick up the equipment within 45 days of notification of completed diagnostics or repair then the equipment will be sold and the end user will still be liable for any diagnostics, repair costs and any other additional charges. See terms and conditions on service repair order for additional information. Service contracts are available for both in store and onsite repair. Please call or email us for more details. Al’s Hardware & Software House specializes in providing sales, service, consulting and support to the Home Office and Small and Medium Businesses (SMB). 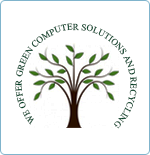 We offer a wide range of commercial quality computer equipment to keep your business running smoothly and efficiently. Down time is expensive and can contribute to a major loss of revenue. Don’t use consumer quality products when your business is dependent on them to make you money. Let us evaluate your current equipment to determine what you really need to stay in business and help you to be profitable. 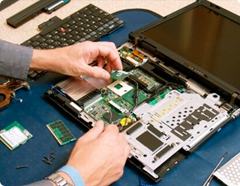 Let Al’s Hardware & Software House provide you with the state of the art equipment you need to succeed. We start off by asking all the right questions to help us determine what your needs will be so we can make our recommendations. We then examine and review your existing installed hardware and software including your networking equipment and cabling. Our consulting fees are reasonably priced starting at $125.00 for the first hour onsite. Each additional hour or fraction thereof is $75.00 per hour and billed in 15 minute increments. Travel time and mileage may apply depending on the client’s location. If the end user enters into a contract sales agreement with Al’s Hardware & Software House within 14 days of the written proposal date to complete the proposed project described in the written proposal then Al’s Hardware & Software House will apply the consulting fee paid by the end user towards the final agreed upon contract sales agreement price. Al's Hardware & Software House is partnered with some of the best and most recognizable names in the computer hardware and software industry including IBM, Lenovo, Cisco, Okidata, Acer, Xerox, Epson, APC, Microsoft and more.